As per the discussion here, we are adjusting how we do the networking for the game. We need a server to handle just real time chat. 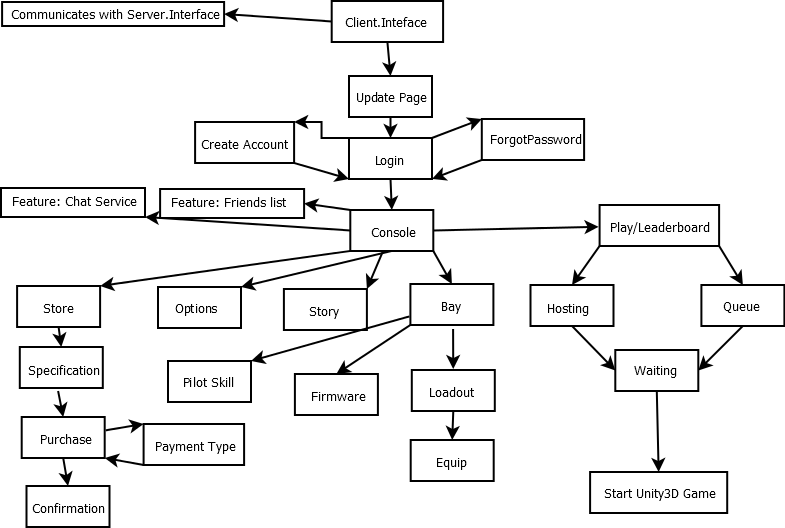 We need a client program (outside Unity) to run and connect to the interface server. This client also needs to be able to access and communicate with the chat server. 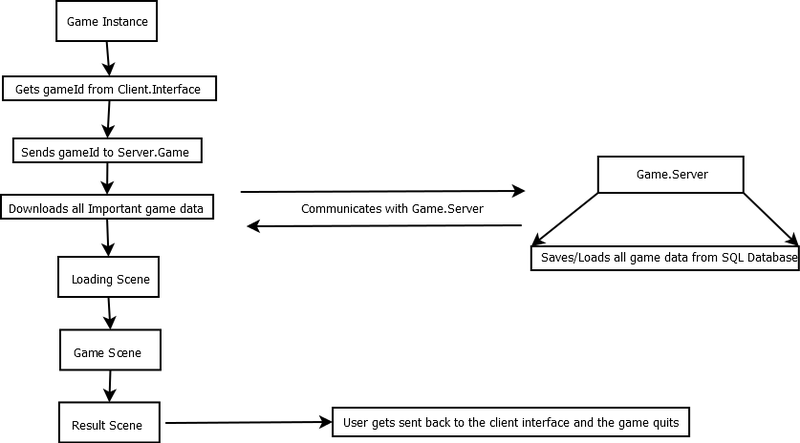 We need the Unity game after started (with given gameId) to communicate to the game server, and download important information and start. We are going to lay out the main processes for the above points, and get a working flow that can then be easily worked on farther for everyone else. Below are 3 flow charts to give and idea of the flow of all the networking steps.